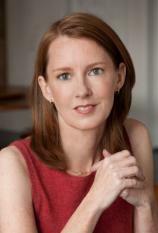 Bestselling simplicity maven Gretchen Rubin has created a practical collection of mottos, models and memorable aphorisms to help us get down to basics and pursue happiness in serene surroundings. "Those who begin their acquaintance with [Rubin's] work by using this handy, immediately accessible manual will doubtless want to delve further into her wisdom." Rubin’s small, uncluttered volume (no dust jacket!) 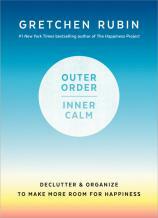 offers a myriad of ways to approach and obliterate your clutter. She has identified certain phenomena, such as “broken windows” --- using the model of law enforcement, if you allow a certain amount of clutter to accumulate, it makes it easier for masses of junk to creep in. There are “clutter magnets” --- a certain table or desktop seems to attract all the things you want to ignore, but feel you must keep. If you decide to take things to the thrift store --- eventually --- make a “waiting room” for them, out of sight; otherwise they just add to the clutter. Don’t stockpile. Have a short routine every day for dealing with coats, dishes, junk mail. Engage in self-examination: What are your “clutter peeves”? Are you clinging to an old identity? Are you an overbuyer? And once you have decluttered your environment, simply enjoy the sensation of inner calm that results.